The people of Mackinnon road rural centre do not have proper access to any form of computer education. This obviously means that they cannot benefit from the vast array of learning options based on computers and also their lack of computer skills is potentially a big impediment to future job opportunities. The main purpose for these computer classes is to provide computer knowledge to the youth, staff members and facility users, to build their capacity and support literacy around the area. Youth and Madrassah students -Enhancing learning capabilities using educational software that will help them in learning and researching- resulting in better performance. Centre staff- Training and making them computer literate which can ease the report writing process, and also enable faster communication through access to mails. Tailoring students -to keep them updated on the new trends and to enable them use software which can assist in designing clothes. An impact assessment will be conducted at regular intervals to gauge the effectiveness of computer studies in the center. The Mission is also working on spreading computer knowledge by opening more computer classes in other centers too. 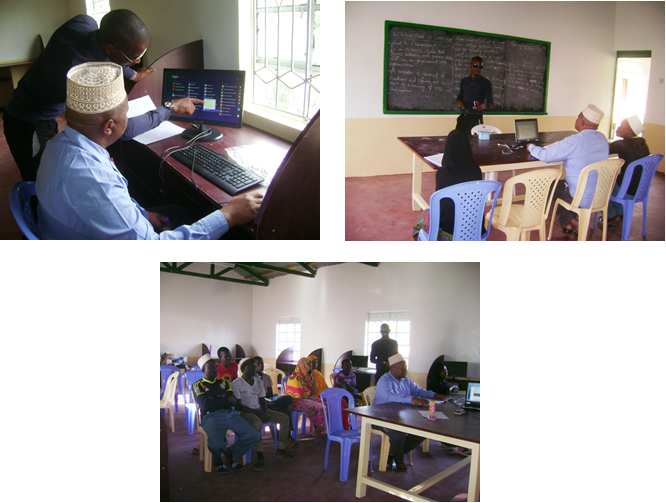 The Bilal Muslim Mission of Kenya would like to thank and appreciate the generous support and funding from AFED and BETA charitable trust in the construction of two classrooms for the computer and library. The Mission is also grateful to the chairman of CBB Mohsin Bhai Lalji, for his generous donation of computers, TV and DVD player. The Mission also thanks all those involved in this training program.